Habitat - Rich woods, coves, wooded slopes. 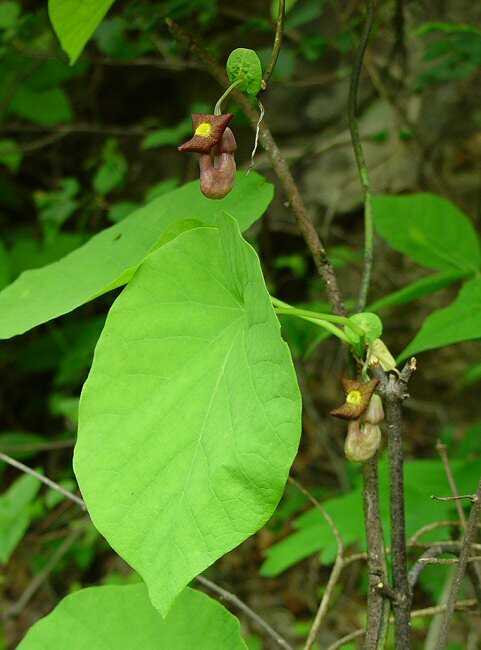 Other information - This vining species is rare in Alabama and has only been reported in one county thus far. It is more common in states to the east. 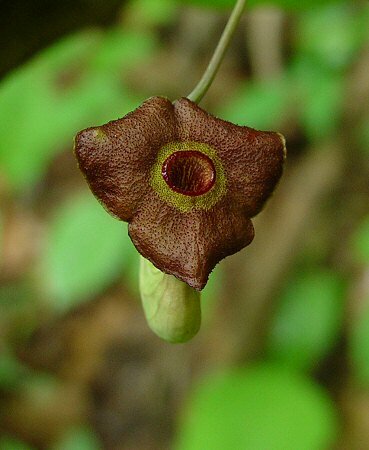 The plant is easy to identify because of its big cordate leaves, and pipe-like flowers. A similar species, A. tomentosa Sims, is much more common in the state. This latter species is a very hairy plant that otherwise looks very much like A. macrophylla. 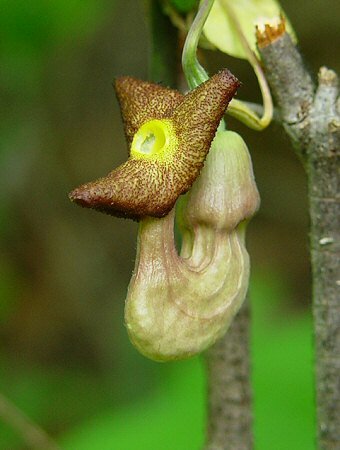 The genus name "Aristolochia" is derived from the Greek "aristos" meaning "the best" and "locheia" meaning "parturition (childbirth)" because the plants were believed to have medicinal value for pregnant women. 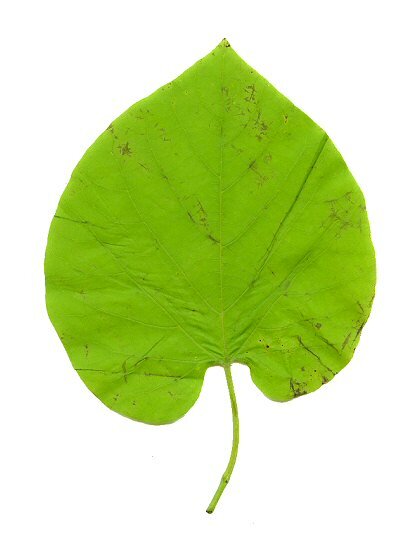 A. macrophylla contains aristolochic acid, an antitumor, antiseptic compound. Photographs taken in Linville, NC., 5-11-03.